Is this Program Right for you ? 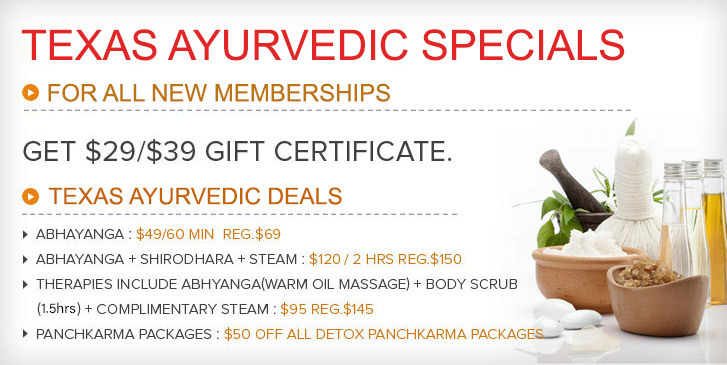 Texas Ayurvedic is an Ayurvedic Wellness Center where Diet Consultation & Lifestyle Consultation not only help restore balance but also help in understanding how individual factors in one’s body constitution affects physical tendencies, moods, cravings, motivation and behavior. It also helps in learning how simple shifts in diet, exercise, daily & seasonal routines & detoxification techniques, can enhance one’s progress towards increased strength, stability & vitality. 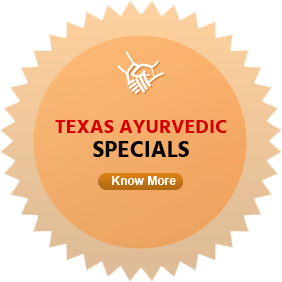 At Texas Ayurvedic, we follow the four major principles of Ayurveda for your health and wellness! Diet - “You are what you eat”! You have unique needs for balance. Since diet is one of the most important Ayurvedic tools for achieving balance, we design individualized diets for you to make your body stronger and keep the disease away. Lifestyle - We will discuss with you all your health concerns and then will design a complete plan to re-establish a state of eternal harmony leading towards optimal health using procedures, advice and special routine regimen. Following the daily routine helps to improve the quality of life and increase productivity. Seasonal routine helps to change with the season and prevent many diseases. Herbs - “What heals, also prevents.” Herbs typically have multiple rather than single effects. They’re combined in standardized but individualized formulas designed to balance and harmonize the properties of the constituent herbs. Ayurvedic herbs are used for many reasons: to maintain overall health; to boost immunity; support mental clarity and focus; to calm the nerves; to improve digestion; to protect the body from toxins and support the detoxification process; and to support innate healing processes. Panchakarma & Ayurvedic Therapies – Panchakarma re-establishes balance, detoxifies, tonifies and rejuvenates the entire body. A fully customized program to fully rejuvenate and regenerate the body internally with dramatic and visible results. Panchkarma is recommended on a seasonal basis to promote and maintain well being and health.